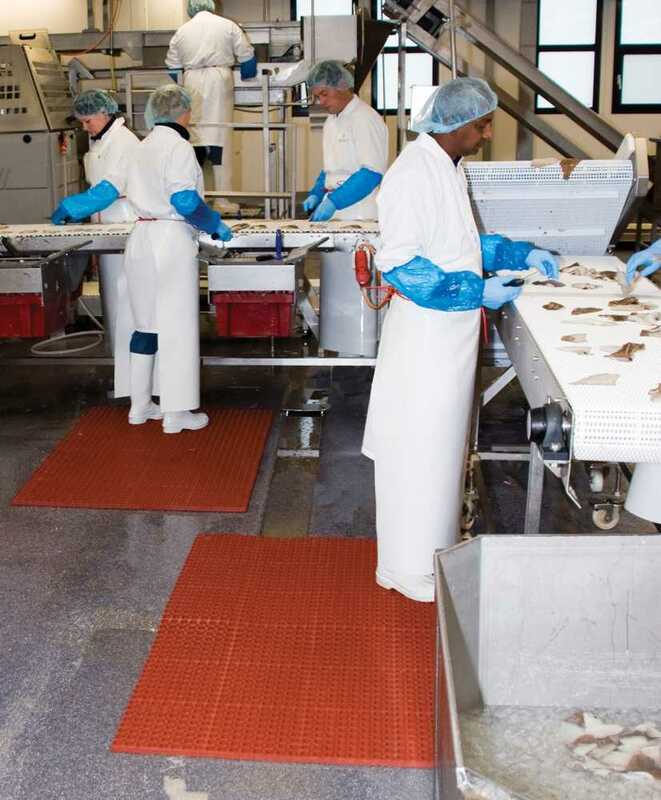 Industrial floor coverings - descriptions, photos and technical specifications, global manufacturers. Send inquiries to the manufacturers and contact them directly. PVC diamond plate 4,7 mm. top surface bonded permanently into a special microcellular vinyl resilient backing. 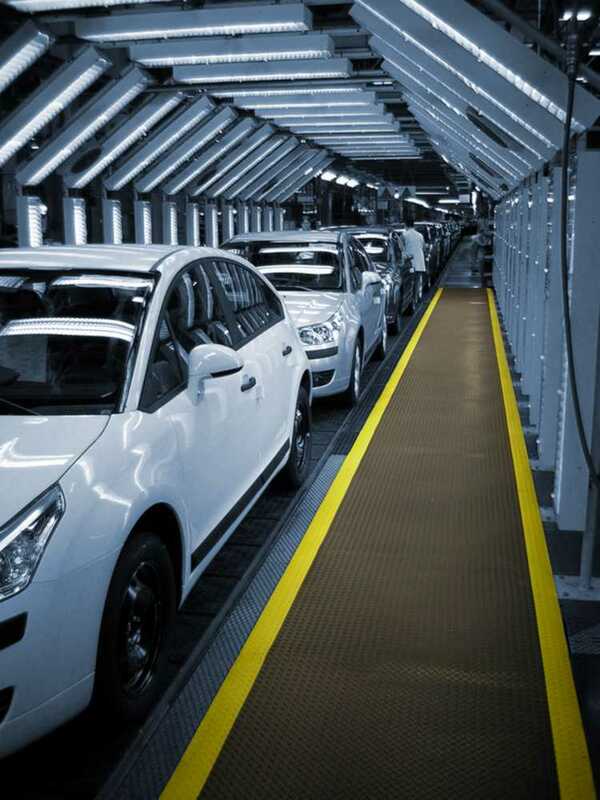 The industrial floor covering is available with yellow borders along sides. Fire classification is B1, tested according to standart DIN 4102. Overall thickness: 14 mm. 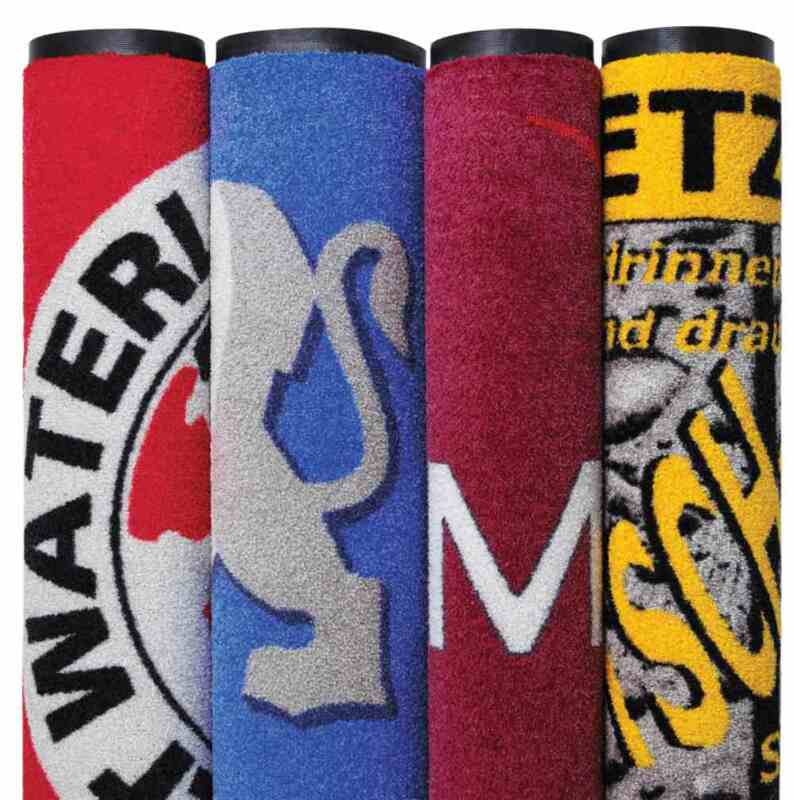 Provides superior traction and comfort in greasy or wet areas. Certified and tested by the NSF. Manufactured with anti-microbial MicroStopTM. Made of nitrile rubber compound. Ergonomic benefit derived, 22,2 mm. thick worker platform. 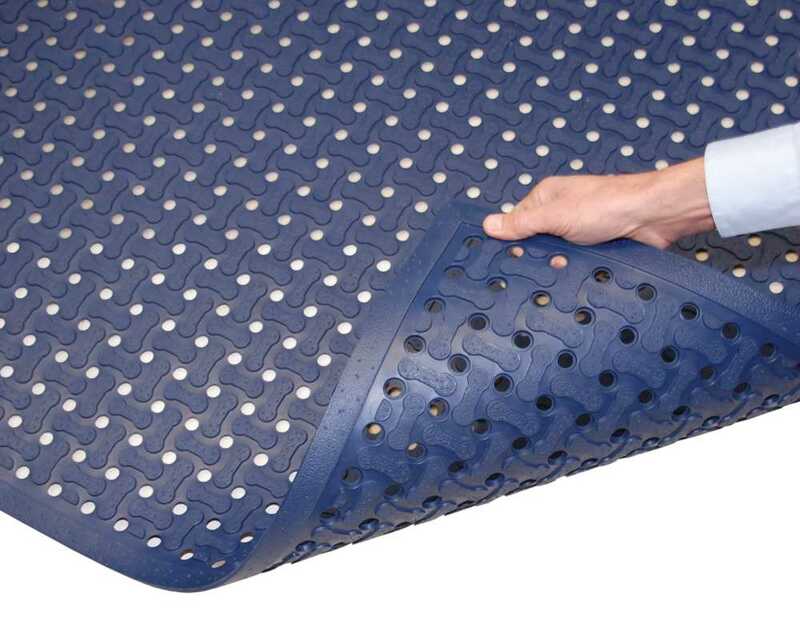 Non-shifting: heavy weight can keep mat in place. Raised studs and large drainage holes allow debris and fluids to fall through and provide aeration. Modular design allows custom configurations and longer lengths, held together by connectors. Corners and beveled ramps available to trip hazards reducing. Is recommended a cleaning with water-jet and detergent for extended service life. 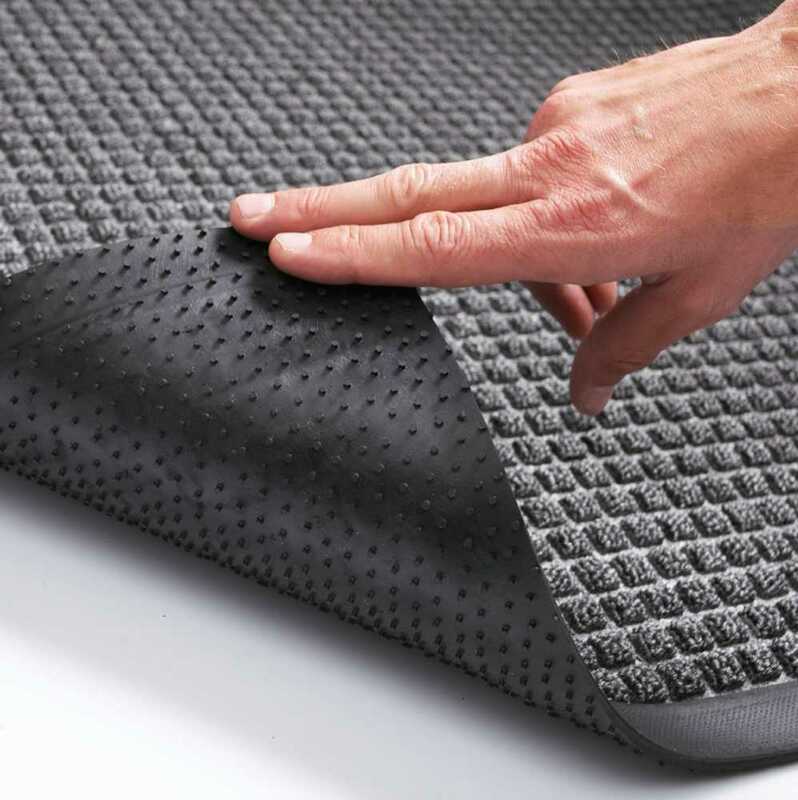 Needle punched carpet consisting of anti-static 100% polypropylene fibres. 1200 grams of fibres per m2. 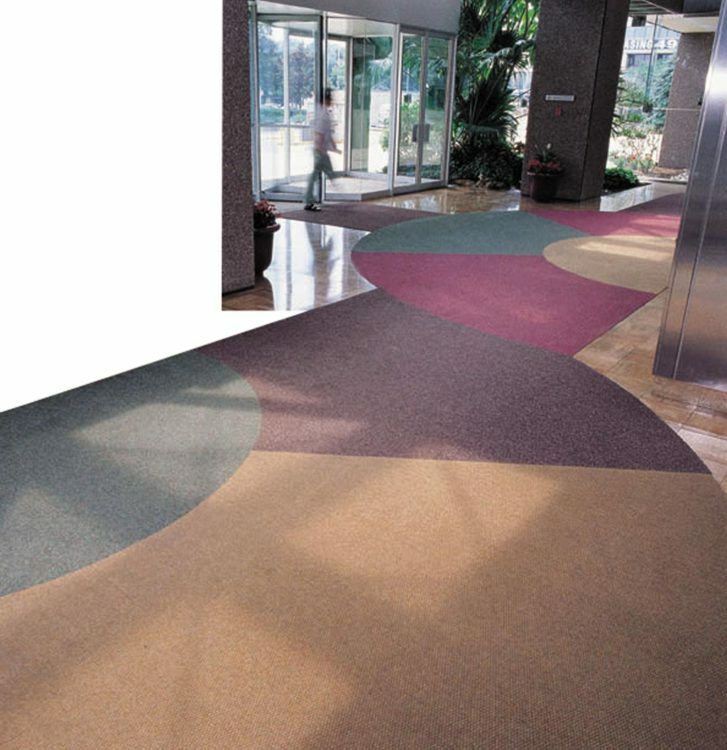 Nibbed needle punched carpet consisting of anti-static 100% polypropylene fibres. Crush resistant and unaffected by climate extremes. Tufted cut loop pile consisting of 100% non-crush polyamide 6.6 high twist yarn. 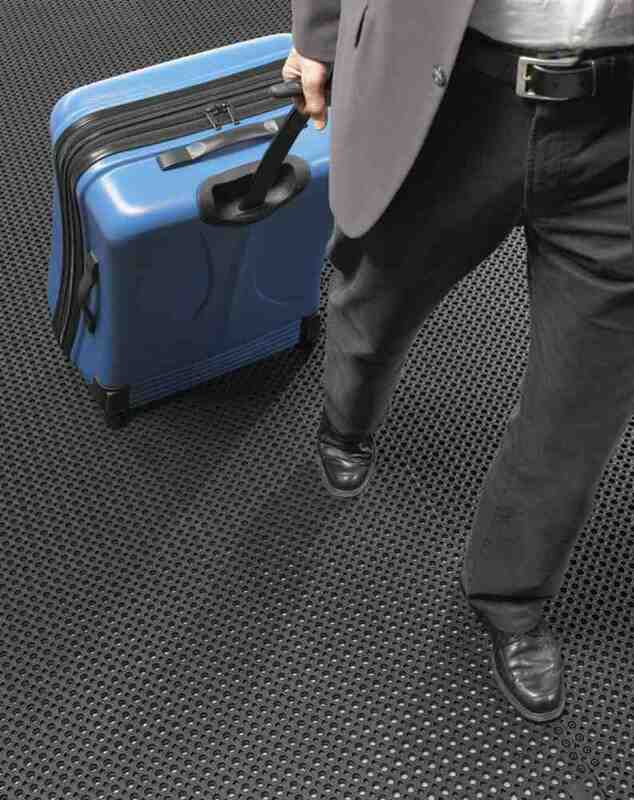 PVC mat Diamond Flex-LokTM series, industrial strength, comfort and safety unite in this anti-fatigue matting. Resistant to hydraulic/synthetic oils, providing the answer to falls and slips in oily, greasy or wet industrial environments. This product provide durable solutions to most dangerous situations on work process. 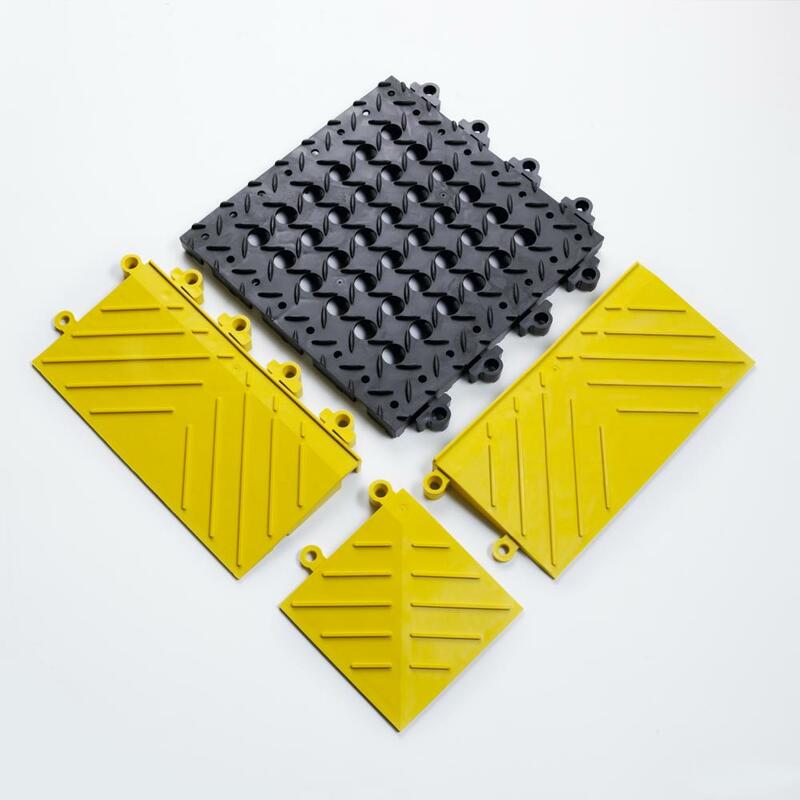 Anti-slip surfaces, specially designs for sure footing. 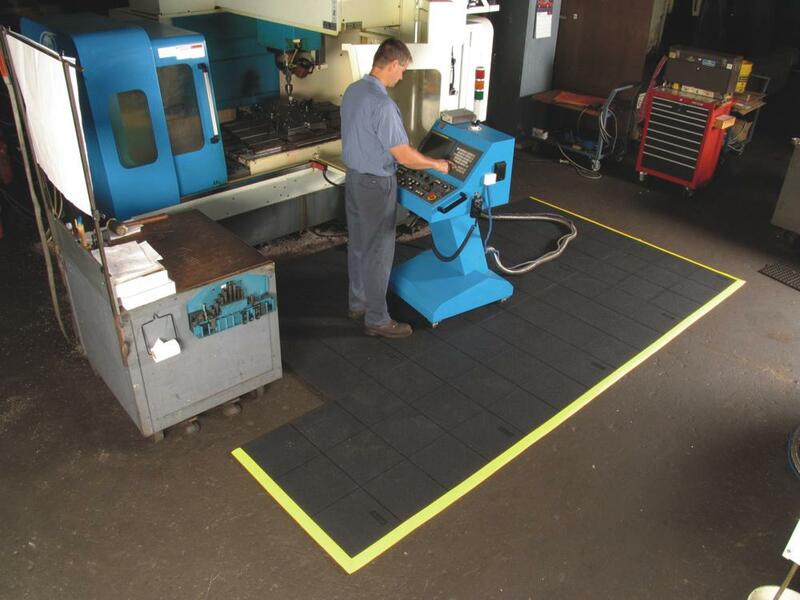 Ergonomic benefit derived 25 to 22,2mm thick worker platform. Dimensions: tile 30,48 x 30,48 cm., corner 15,24 x 15,24 cm., bevel 15,24 x 30,48 cm. Weight: 9,7 kg per m2. Fire classification tested (Cfl-s2) according to standart DIN EN ISO13501 and Class 1. Safety code 101, IBC 804.2 classification. Testing method ASTME648-03.